It's all about that metallic sheen this season! 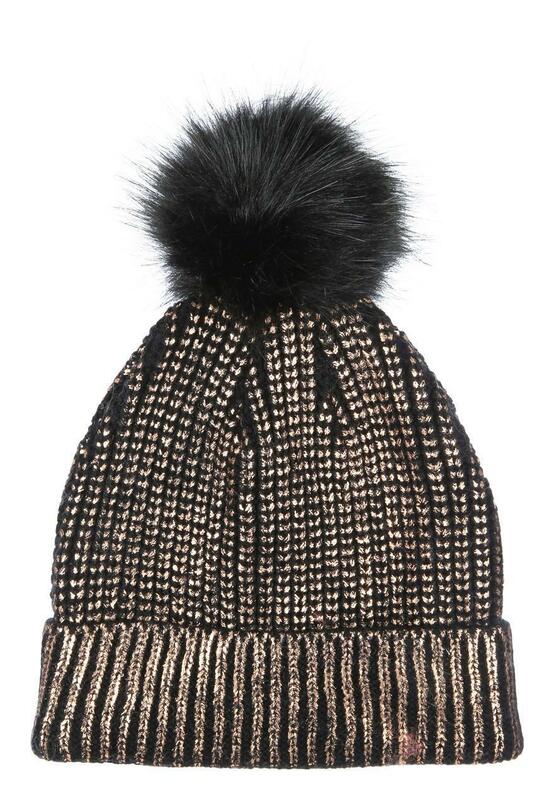 This cosy metallic beanie with a fluffy pom pom is the perfect winter warmer to accessorise your look. 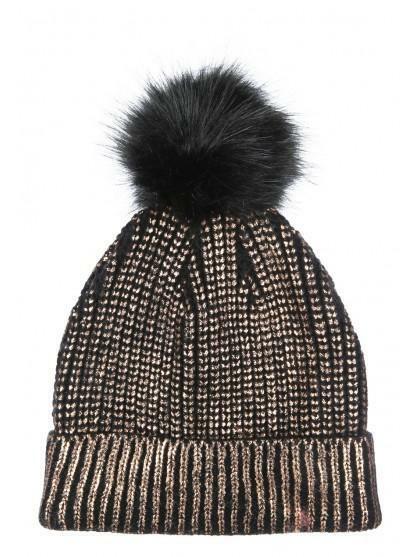 Team up with our matching metallic pom pom cut off mitts!